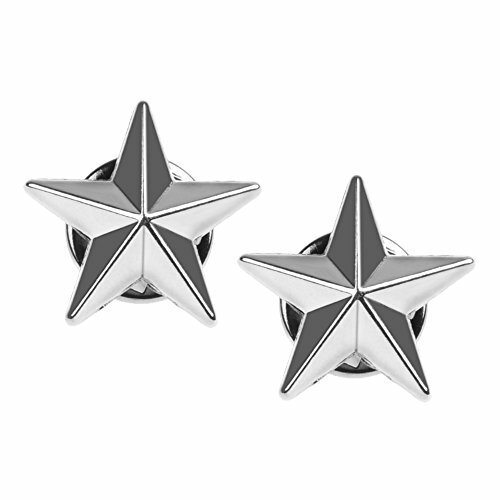 The Silver Star Lapel Pin is one of the more recognizable lapel pin designs in the world. 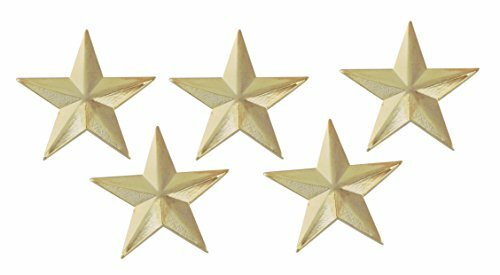 Most every military organization uses a star pin as an accomplishment to embellish the uniform. 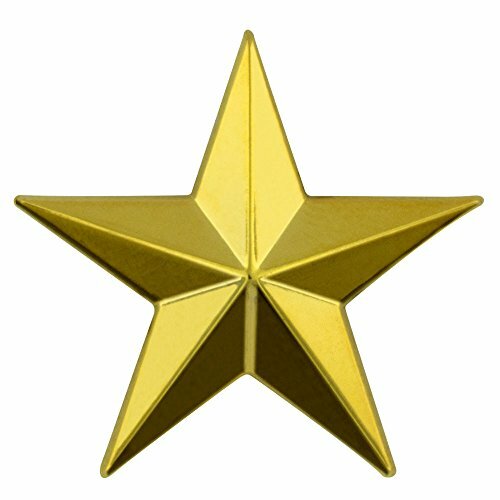 The star has long been used to award and encourage while at the same time being a symbol of success. 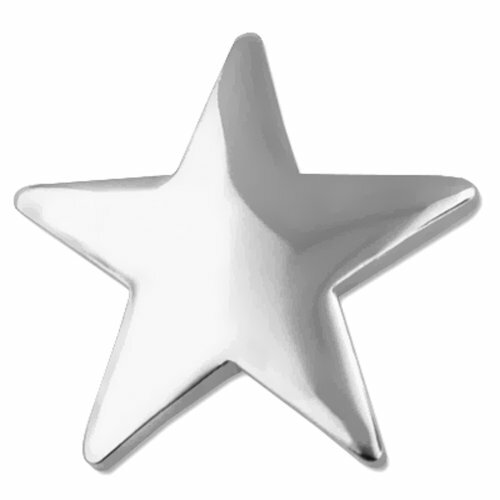 Our Silver Star Pin is die struck from fine jeweler's metal, nickel plated, and highly polished to a mirror like shine. The surface of the star is slightly curved to create a domed look. Each pin includes a standard clutch back and is individually poly bagged. 7/8 Inch Die Struck Enameled Gold Plated Modeled Star. Comes with package of 12 lapel pins and poly bagged. 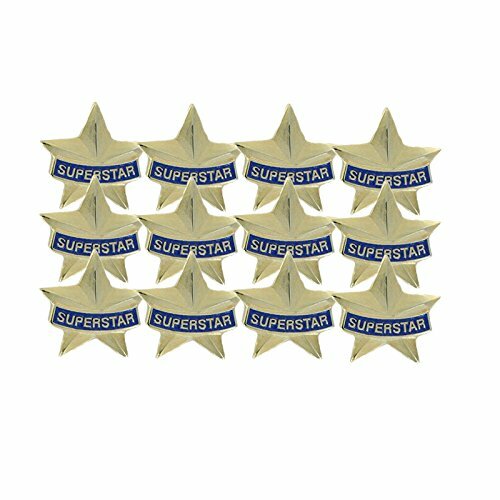 Superstar lapel pin. Size 3/4 inch die struck brass gold color sand blasted soft epoxy enamel 3 dimensional modeled nail and military clutch back. Comes with package of 12 lapel pins and individually poly bagged. 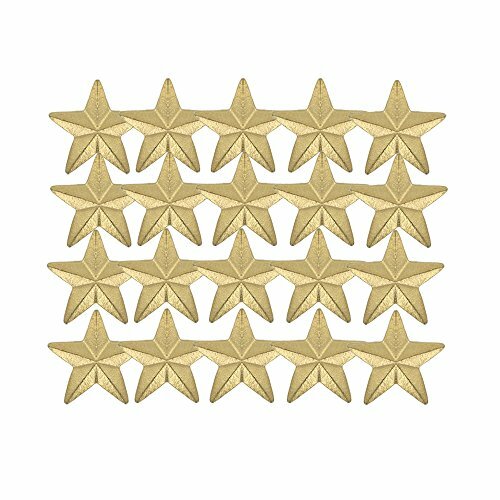 Everyone loves earning a Gold Star! 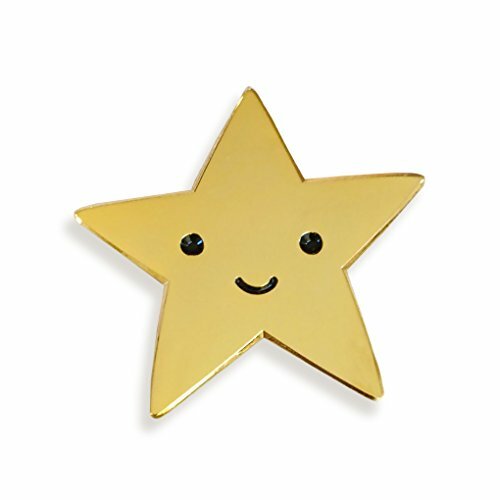 pin it on your lapel or gift it to a deserving friend. This adorable gold enamel pin with a butterfly clasp is packaged in a clear sleeve with backer card, perfect for gifting. Packaged item size is 4 x 2-1/2 inches. This item was designed by the team at Night Owl Paper Goods, a passionate team of paper lovers who delight in creating whimsical and memorable handcrafted greeting cards and gifts that make people smile. Their style is an innovative blend of bountiful botanicals, playful patterns and carefree critters that everyone can enjoy! this item is not intended for children. 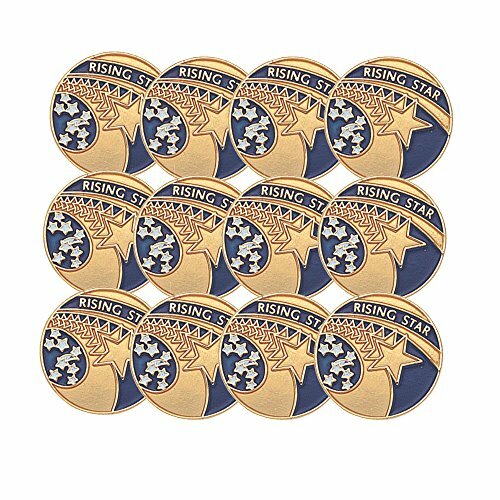 3D 5 Point Gold Star Lapel Pin. 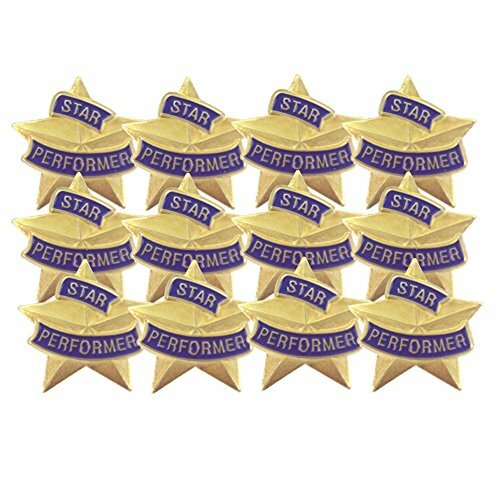 This pin is similar to standard issue military star lapel pins. The classic design results in a standout addition to any attire. Multiple options available to meet your needs. Order your desired quantity above!! Size 3/4 inch die struck Rising Star brass two-tone gold color sand blasted and polished soft black epoxy enamel nail and military clutch back. Comes with package of 12 lapel pins and individual poly bagged. Chenille school letter pins. The pins are cast with a brass plating. Extra long 7/8 inch nail and butterfly clutch for attaching to school letters. Comes with package of 20 pins.